The SUV was attempting a left turn onto Annapolis when it collided with the motorcycle, Prince George's County police said. The driver and passenger of the SUV were treated on scene for minor injuries. 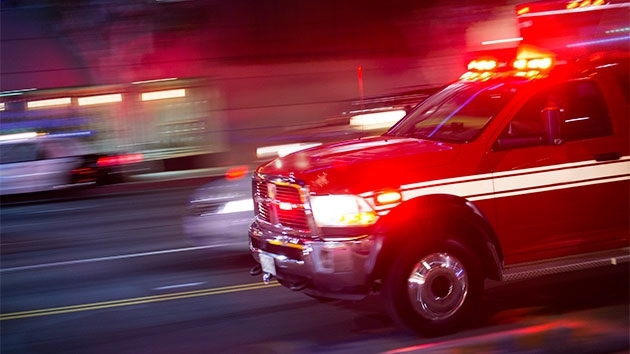 WASHINGTON — A 20-year-old motorcyclist is dead after his bike collided with an SUV Tuesday night in Lanham, Maryland. Isaiah Brown-Wilson died at a hospital after the accident, which occurred before 7 p.m. at the intersection of Baltimore Lane and Annapolis Road (Maryland Route 450). The SUV was attempting a left turn onto Annapolis when it collided with the motorcycle, Prince George’s County police said. The adult driver and passenger of the SUV were treated on scene for minor injuries. Anyone with additional information about the accident can call police at 301-731-4422. Anonymous tips can also be provided by phoning 1-866-411-8477 or by submitting to Crime Solvers online. Below is the location of where police say the collision occurred.